Understand the essential role fascia plays in healthy movement and postural distortion. 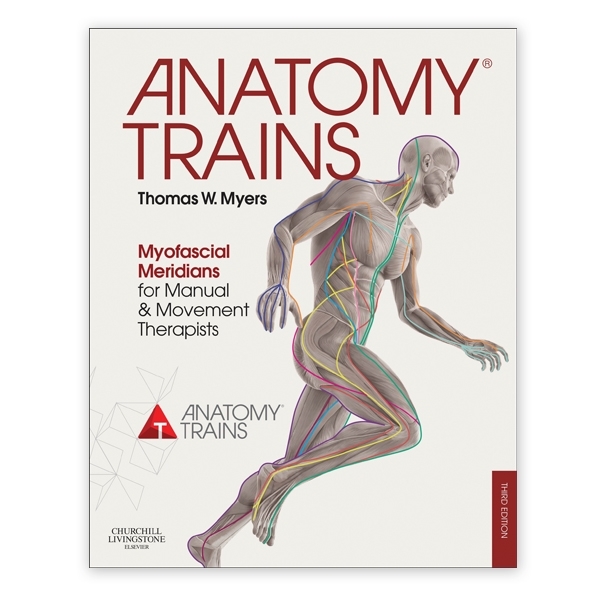 Anatomy Trains is a must-read for all bodyworkers and movement therapists. The fully updated Anatomy Trains: Myofascial Meridians for Manual and Movement Therapists is an ideal tool for all professionals with an interest in human movement. This revolutionary approach to the study of human anatomy improves the outcomes of physical therapy used to manage pain and musculoskeletal disorders. The easy-to-use layout directs readers to their own special areas of interest and allows them to understand concepts quickly, according to need. The accompanying website features video clips, graphic representations of the Anatomy Trains, additional dissection photos/videos, webinars and additional visual assessment practice photos. New features to the third edition include updated text with up-to-date research and latest best evidence, exploration of fascia as the largest sensory organ, a new chapter on Anatomy Trains theory in the analysis of gait and access to expanded features on the website. Written by Thomas Myers. Illustrated. Softcover, 344 pages. Third edition. A must-read for massage therapists, structural integration practitioners, craniosacral therapists, yoga teachers, osteopaths, manual therapists, physiotherapists, athletic trainers, personal trainers, dance/movement teachers, chiropractors, acupuncturists and any professional interested in human movement.